After Kathleen and Mark Graham’s kitchen was flooded for the second time, the couple decided to change it completely – from a traditional farmhouse style to a cutting-edge modern design. The couple’s home, a converted farmhouse, in Edgeworth, near Bolton, Lancashire, incorporated a well-made traditional kitchen, previously fitted by Kitchen Design Centre. However, after experiencing a second water disaster, in which the upstairs bathroom flooded the ground floor, the couple decided they wanted a complete change – into a modern German-style kitchen. “The flooding came from the en-suite bathroom and leaked through the kitchen ceiling,” said Kathleen. “At the time I was quite disappointed because I really liked my traditional farmhouse kitchen. 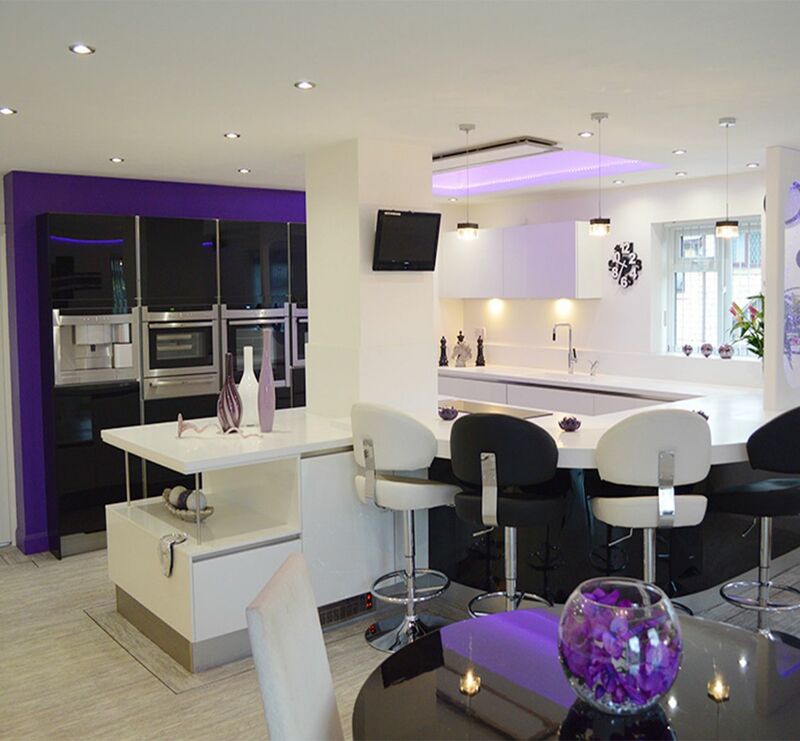 As part of a redesign of their home, Kathleen went to several kitchen showrooms to explore the latest styles available, before choosing a German-style kitchen from Kitchen Design Centre, Colne. 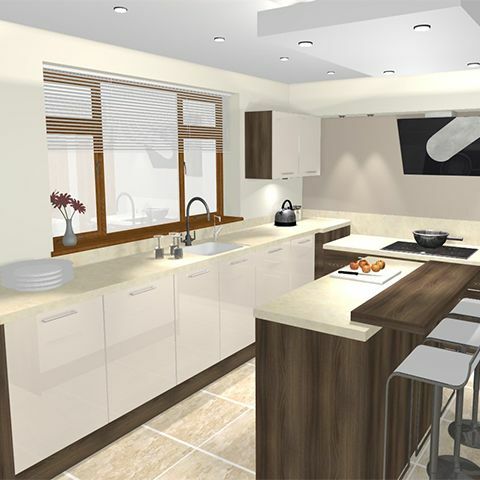 The new kitchen is a mixture of high gloss magnolia and dark acacia, to give a wooden effect. Now extremely spacious, and with the lighting dramatically improved, the farmhouse kitchen is unrecognisable from the old design. One innovative space saving feature is the cupboard, which was specially designed to provide lots of storage space while taking up as little of the room as possible. A breakfast bar was designed to be the centrepiece of the kitchen – creating a perfect Corian worktop preparation area and storage space. With up-to-date advanced technology, the modern kitchen has everything anyone could want for practical living – including a combination microwave, oven, coffee machine, warming drawers, induction hobs, integrated fridge, freezer and dishwasher and a 100 degrees Quooker hot tap. The dining area was also re-designed to incorporate a flat screen wall TV – which is perfect for family life. “It’s the little things that make the kitchen so wonderful,” said Kathleen. “Everything is easy to reach and use. Even things like the waste bins being inside the cupboard make it easier. I especially like the Quooker boiling hot water tap – it really adds to our overall standard of living. 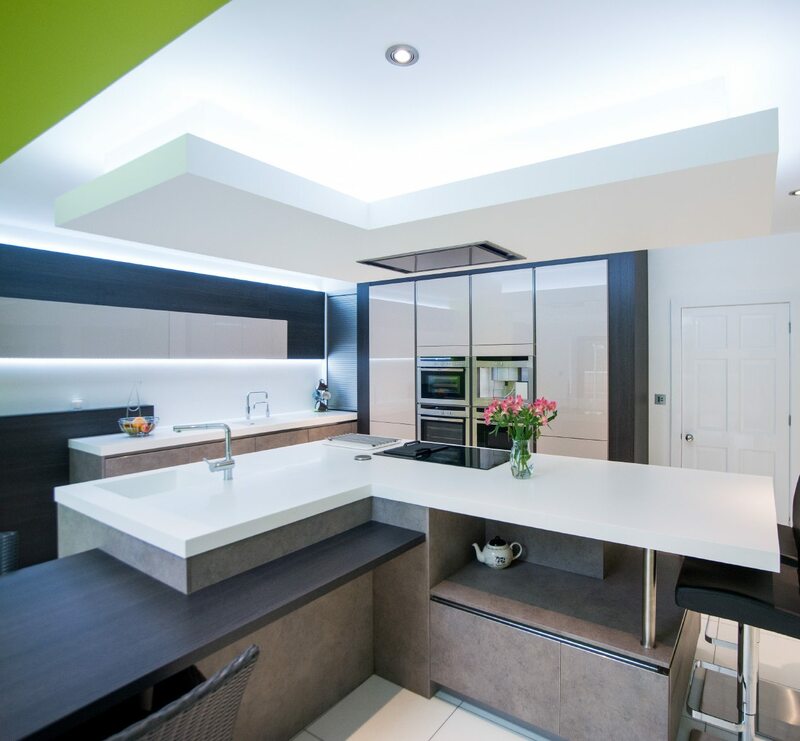 Simon, designer at Kitchen Design Centre’s Colne showroom, said: “We made the kitchen as practical and beautifully designed as possible in order for Mr and Mrs Graham to get the most out of their space. 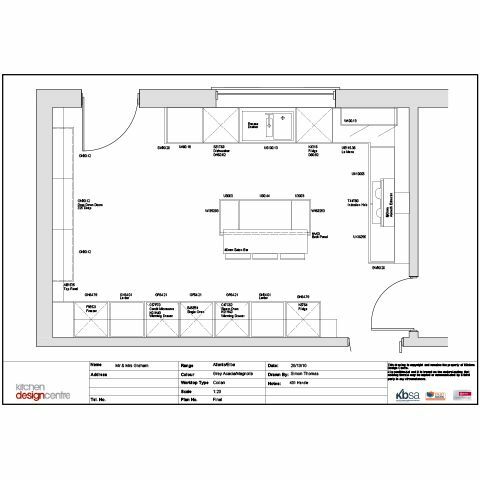 “After we went through the plans, I showed them 3D images, which really helped them understand how it would all work logistically. 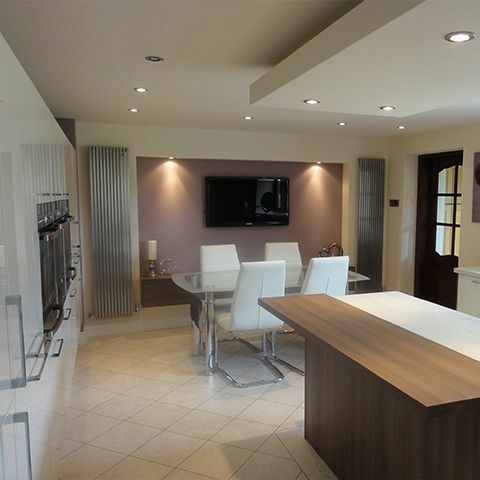 Kathleen said: “My amazing new farmhouse kitchen is a pleasure to be in. I’m so glad I chose to get a new contemporary kitchen installed instead of fitting a traditional one again. "My amazing new farmhouse kitchen is a pleasure to be in. 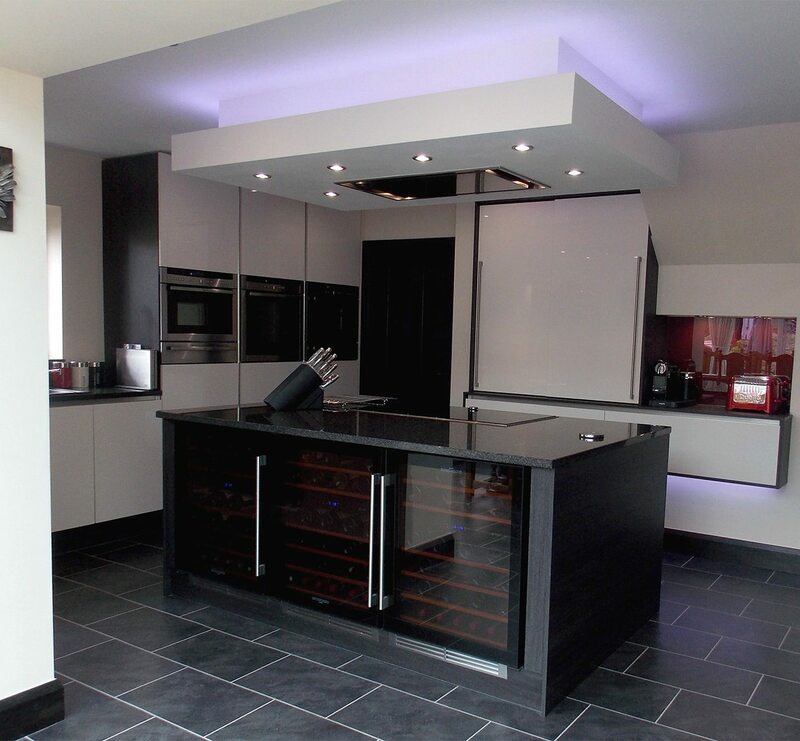 I’m so glad I chose to get a new contemporary kitchen installed instead of fitting a traditional one again." 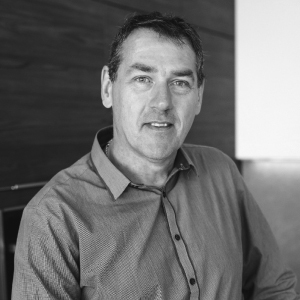 “After we went through the plans, I showed them 3D images, which really helped them understand how it would all work logistically."